Under Orbán’s leadership, Hungary has chipped away at access to abortion care. Trump administration officials and prominent anti-choice activists appeared at a conference hosted by the Hungarian Embassy earlier this month designed to promote government policies to encourage women to have more babies. The “Make Families Great Again” conference, which was held at the Library of Congress on March 14, promoted far-right Hungarian Prime Minister Viktor Orbán’s seven-point “Family Protection Action Plan.” The plan is “designed to promote marriage and families and spawn a baby boom” through financial incentives, according to a Washington Post report on the event. White House special assistant Katy Talento, White House Strategic Communications Director Mercedes Schlapp, and U.S. Department of Health and Human Services (HHS) Senior Advisor Valerie Huber spoke at the event. HHS spokesperson Caitlin Oakley confirmed Huber’s attendance at the event to Rewire.News. Huber, best known as an abstinence-only activist who helped rebrand abstinence-only sexual education as “sexual risk avoidance,” has held several high-level political positions within HHS. She was appointed senior policy advisor at the department’s Office of Global Affairs in January. Talento, who works on the president’s domestic policy agenda, has pushed myths about contraception, including false statements that contraceptives cause abortions, miscarriages, and reduced fertility. She reportedly helped craft the Trump administration’s policy to roll back the Affordable Care Act’s birth control benefit. According to a schedule tweeted by Katalin Novák, the Hungarian state secretary for family and youth affairs, three members of Congress—U.S. Reps. Andy Harris (R-MD), Paul Gosar (R-AZ), and Chris Smith (R-NJ)—gave the event’s closing remarks. Requests to their offices for comment were not returned. 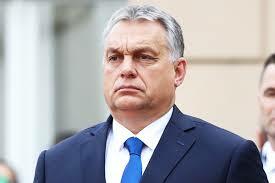 Under Orbán’s leadership, Hungary has chipped away at access to abortion care. In 2011 the Hungarian parliament succeeded in inserting personhood language giving fetuses legal recognition into the country’s constitution. And in 2012 the government refused to make medication abortion available in the country. Tony Perkins, president of the anti-choice and anti-LGBTQ Family Research Council, also spoke at the event, as did representatives from the Heritage Foundation and Concerned Women for America. Perkins praised Hungary’s commitment to what he called “pro-family” policies in a blog post the day after the event, though he noted that the United States isn’t likely to support direct subsidies to increase the birth rate. “The critique is—in effect and by design—it does not encourage women to rejoin the labor force, but keeps them home and pregnant in more of a traditionalist sense through financial incentives,” said Berschinski, who previously served as deputy assistant secretary of state for democracy and human rights and “helped lead U.S. policy toward Hungary in 2016,” according to the Post. According to a Christian Post report, Orbán’s plan is designed to boost the country’s birth rate to “replacement level,” the fertility rate at which a population sustains itself, without taking a more open approach to immigration policy. Hungary “spends nearly 5 percent of its GDP towards incentives for those in the predominantly-Christian nation to get married and have children—lots of them,” the Christian Postreported.